Bovada Poker has announced details of its 2014 Black Diamond Poker Open Series which consists of 200 events and offers $3 million in guaranteed prize pools. Following the success of last year´s Black Diamond Poker Open – in which more than $1.2 million was paid out over 172 tournaments – Bovada has launched an ambitious schedule of events that will see $3 million up for grabs over a program of 200 tournaments. As in previous years, the Black Diamond Poker Open will consist of a “Contender Series” that has micro and low stakes buy-ins, and a “Championship Series” with mid and high stakes buy-ins and where the majority of the guaranteed prize money can be found. The Black Diamond Poker Open Contender Series will run between Tuesday February 18 and Wednesday March 12 and kicks off with a $20.00 + $2.00 buy-in No Limit Texas Hold´em tournament that has a guaranteed prize pool of $10,000. Players will need to display a variety of disciplines to compete in the remainder of the series, as the BPDO Events include tournaments played in Fixed Limit Texas Hold´em, Pot Limit Omaha, and 7 Card Stud; while the format of the games vary between Heads-up, 6-Max, Deepstack, Re-buy, Shootout and “Escalator” tournaments – in which the length of the levels increase as the tournament progresses. Highlight of the Black Diamond Poker Open Contender Series is the $50,000 guaranteed Main Event which will be played at 8.03pm (ET) on Sunday March 9. The tournament has a buy-in of $50.00 + $5.00, and players with limited bankrolls who wish to take part in this event will find a comprehensive range of Main Event qualifiers already running in the Bovada Poker tournament lobby. After a break of ten days, the Black Diamond Poker Open Championship Series gets underway with a $75.00 + $7.00 buy-in No Limit Texas Hold´em event with a guaranteed prize pool of $20,000. However, unlike several other online poker sites which run high and low buy-in tournaments series one after the other, the BDPO Championship Series is not a mirror image of the Contender Series. A different variety of tournament disciplines will be required in order to be successful in the Championship Series, with the variety of games including a No Limit Omaha Hi/Lo Event, a Pot Limit Super Knockout (where the buy-in and bounty are of equal value to make it more worthwhile to eliminate another player) and a Super Turbo Deepstack tournament in which players receive 10,000 starting chips. The Championship Series Main Event is a $425.00 + $25.00 buy-in tournament with a $300,000 guaranteed prize pool. The winner of the event is guaranteed of taking home $60,000 (subject to any final table deals) and the Black Diamond Poker Open Championship watch that has a value of $5,000. The Black Diamond Poker Open is not an exclusively US-series, as players on Bodog88.com and Bodog.eu will also be competing in the events. Nonetheless, there should be exceptional value in some of the midweek events and the satellites qualifying players into them. 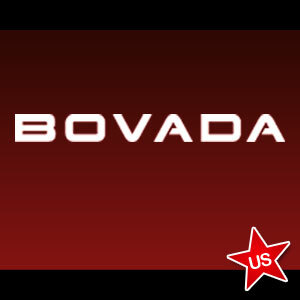 US players can visit Bovada.lv to access the full Black Diamond Poker Open schedules, while players in Asia can see the schedule in Chinese, Thai, Korean and Malaysian, and players from the rest of the world should log into their accounts at Bogog.eu for full details of the BDPO Series.